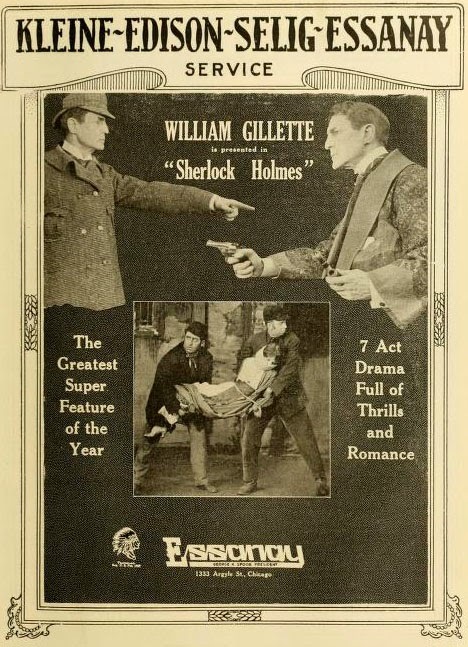 William Gillette was not the first actor to play Sherlock Holmes on film—that honor goes to the anonymous lead of a brief nickelodeon-era flicker produced in 1900 by the American Mutoscope & Biograph Company. Gillette, however, is the most important. Gillette’s significance lay not in his popularity—which ranked high in his time but has since been eclipsed, but rather due to his considerable and continuing impact on the portrayal of the master sleuth. In ways both subtle and overt, and in ways contemporary actors may not be aware, Gillette defined Sherlock Holmes for the stage and film. 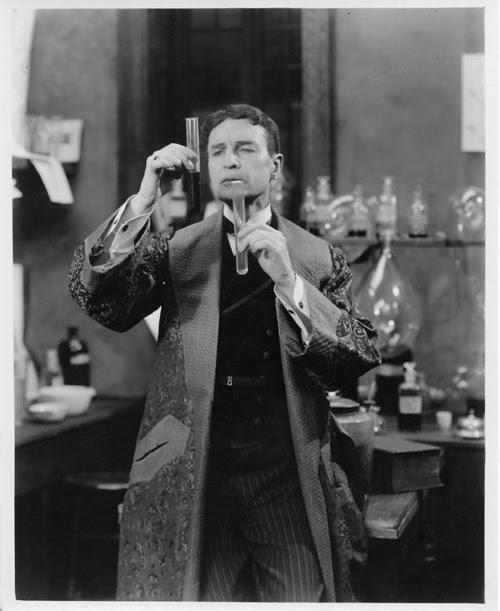 Though little known today, the American actor and playwright William Gillette (1853–1937) was a superstar in his time. He penned a handful of plays including Held by the Enemy (1886), a Civil War drama that was a major step toward modern theater in its abandonment of 19th century melodrama. It is also thought to be the first wholly American play with a wholly American theme to be a critical and commercial success on the British stage. In 1895, Gillette wrote and also starred in Secret Service , another critical and popular success. He performed the play in New York, London and elsewhere. 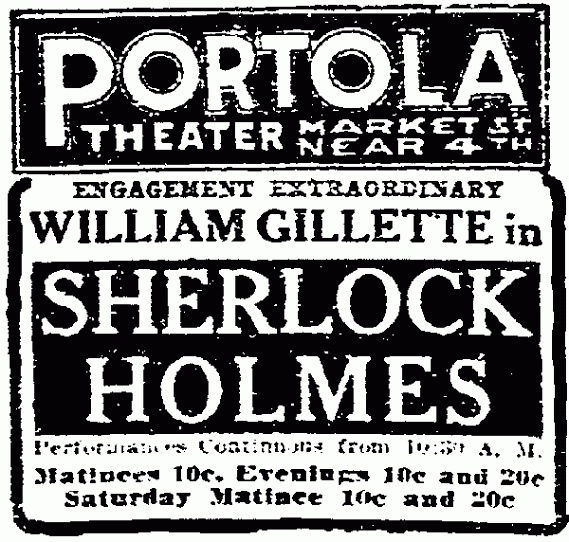 It was while Gillette was staying in San Francisco, while on tour for Secret Service , that an original draft of a new play he was writing was lost in a hotel fire; that play was based on Arthur Conan Doyle’s famous stories about Sherlock Holmes. 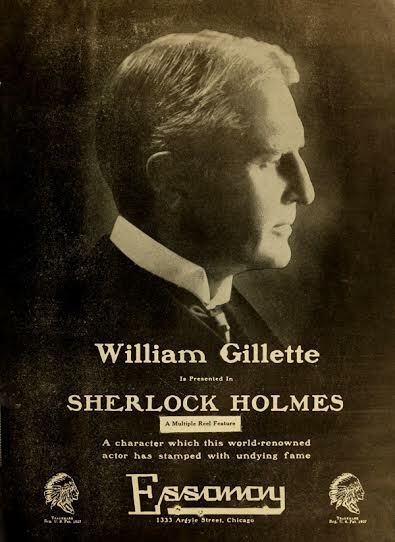 Gillette made a career out of playing Holmes, and his popular play was revived in 1905, 1906, 1910, 1915 and 1923. 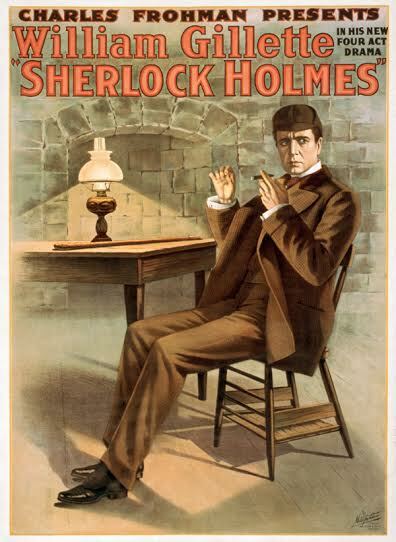 Over a period of more than thirty years, Gillette played the role of Sherlock Holmes some 1,300 times on stage. Late in life, he even voiced the character on radio. Gillette was so beloved that his farewell stage tour in 1929 kept getting extended, all the way into 1932. He was nearly 80 years old by the time he retired from the stage. 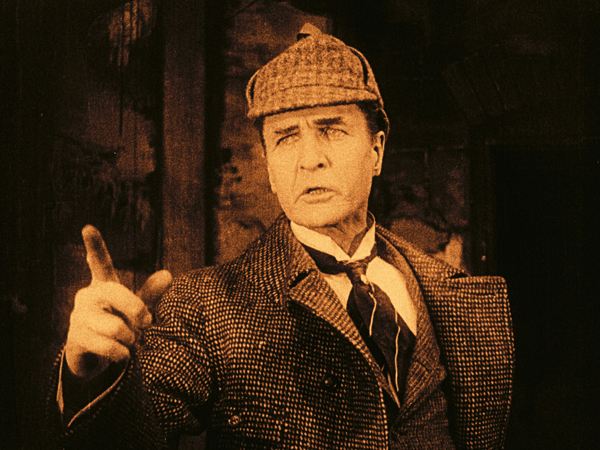 In October 2014, the long lost film version of Gillette’s Sherlock Holmes was found at the Cinémathèque Française in Paris. It is the stage actor’s only film appearance, and aside from photographs, as close a record of those 1,3000 performances that we are likely to experience. 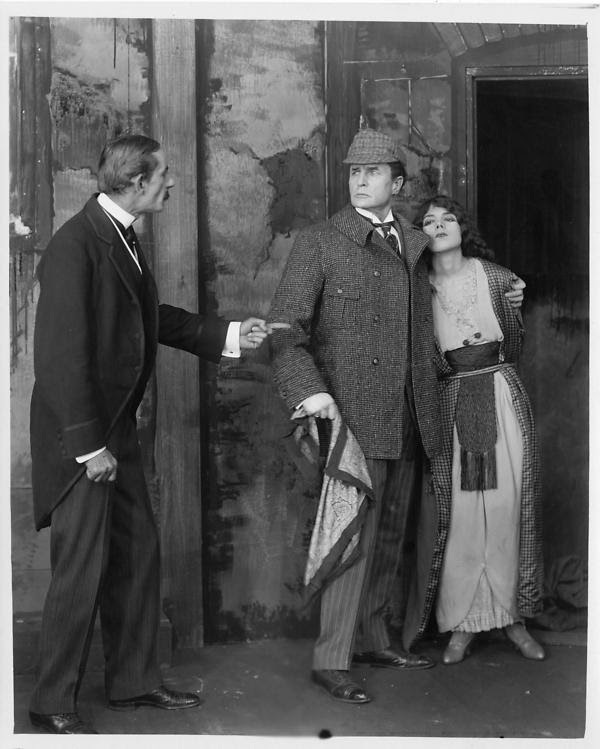 For fans of Sherlock Holmes, the discovery of Gillette’s 1916 film was “remarkable—like finding Lon Chaney’s London After Midnight or the complete Greed ,” according to longtime Holmes enthusiast Christy Pascoe, who has seen just about every film version available, including a 1980s Soviet television series. 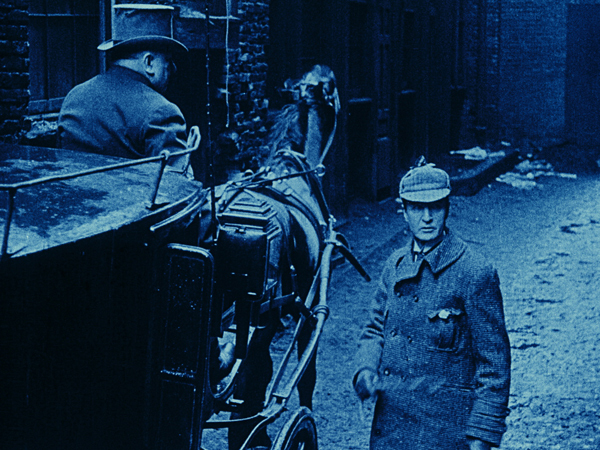 The restored Sherlock Holmes debuted in Paris at the Cinémathèque Française in January, and will be shown for only the second time at the upcoming San Francisco Silent Film Festival on Sunday, May 31. Live musical accompaniment will be provided by the Donald Sosin Ensemble. Pascoe is one of many Holmes fans, some coming from across the United States, to attend the historic screening. Gillette as Sherlock Holmes was also the model for illustrations by artist Frederic Dorr Steele which were featured in American magazines of the time. The covers of early editions of the Sherlock Holmes stories also featured either Steele’s illustrations or photographs of Gillette on stage. It has been said that Sherlock Holmes is the most prolific screen character in the history of cinema. Those future Holmeses, an impressive list, include Eille Norwood between 1921 and 1923, John Barrymore in 1922, Clive Brook in 1929 (this first sound-era Holmes was the first to say “Elementary, my dear Watson”), Raymond Massey in 1931, and later Arthur Wontner, Basil Rathbone, Ronald Howard, Peter Cushing, Christopher Lee, Jeremy Brett, Robert Downey, Jr., Benedict Cumberbatch, and later this year, Ian McKellen in Mr. Holmes . The many others are detailed in a near shelf-full of books on Holmes’ film and television appearances. Directed by Arthur Berthelet and produced by the Essanay Studios in Chicago, Sherlock Holmes features elements from several Doyle stories including “A Scandal in Bohemia,” “The Final Problem” and “The Copper Beeches,” as well as the novel, A Study in Scarlet. The film faithfully retains the play’s famous set pieces—Holmes’ encounter with Professor Moriarty, his daring escape from the Stepney Gas Chamber, and of course his brilliant deductions. Sherlock Holmes concerns a man with connections to the Royal Family who hires Holmes to retrieve a series of letters now in the possession of one Alice Faulkner. As the investigation progresses, Holmes uncovers a far darker plot than he first imagined, one masterminded by Holmes’ legendary antagonist Professor Moriarty, played by Ernest Maupain. 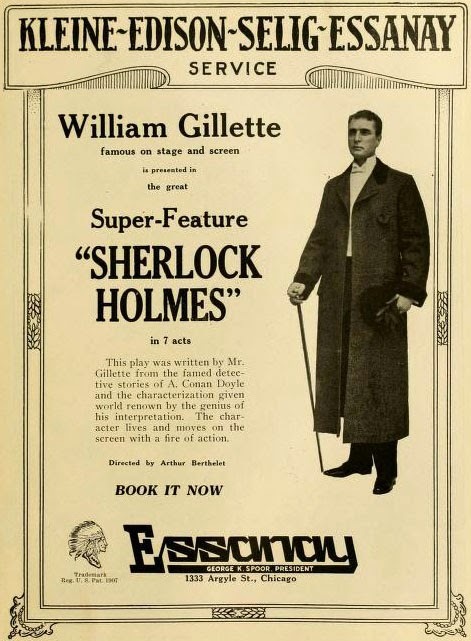 Besides Gillette, a handful of cast members in the 1916 film include those who appeared in earlier stage productions, notably Edward Fielding as Dr. Watson, Marjorie Kay as Alice Faulkner, and Mario Majeroni as the blackmailer, James Larrabee. Gillette’s stage manager served as an assistant to the film’s director. The 1916 film, long thought lost, had been wrongly catalogued decades ago by staff at the Cinémathèque Française. The version uncovered in Paris, a dupe negative, had captions in French and was set to be color-tinted specifically for the French market. 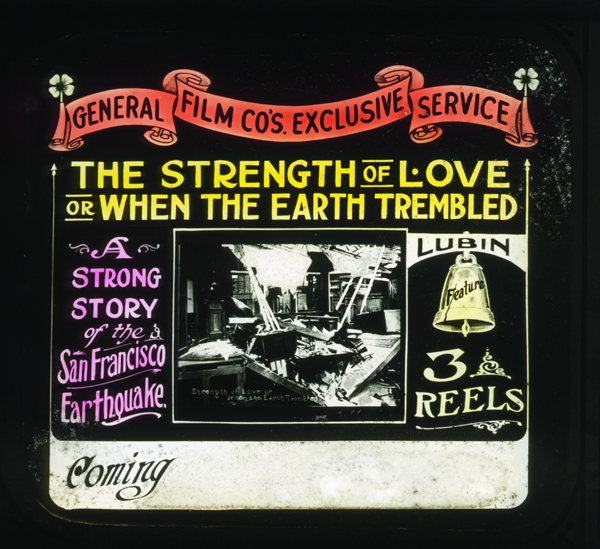 The film’s digital restoration was the result of a joint effort between the Cinémathèque Française and the San Francisco Silent Film Festival. EatDrinkFilms: How was the film found? Had it been on the shelf all this time? Rob Byrne: The film was identified in due course of cataloging and identifying films in the Cinémathèque Française collection. Most, if not all archives, have huge collections of unidentified, uncatalogued, and undocumented material that must be methodically worked through. This work can be very time consuming if the cans are not properly labeled and/or if the film itself is missing identifying leaders, titles, etc. In the case of Sherlock Holmes , Cinémathèque Française identified the film as part of their ongoing process of cataloging their collection. There is no documentation that describes when the film came into their collection. EDF: In general, what state was it in? RB: For a film negative that is 100 years old it was in remarkable condition. First off, it was complete. Every shot is there. This in itself is amazing. Still, the film material does show the effects of time and wear. The film base had shrunk and was warped in places, all of which is to be expected. The splices were old, fragile, and “fat” which made the digital scanning particularly challenging. There was a slight bit of chemical deterioration in places, but as I said, very slight. Then, as would be expected from a negative that had been used many times for creating new prints, there was a fair amount of dirt and scratching on the negative. Generally speaking though, the film was in much better condition than we had any right to expect that it would be. EDF: Were there any particular challenges in the film’s restoration? RB: One fairly unique challenge with Sherlock Holmes was getting the intertitles just right. The negative was exported to France and so has unique French intertitles. Our French language experts (and I am not one of them) tell us that the translation from English to French that was done in 1919 was not necessarily the best. However, the French titles were all that we had to go on as a resource for creating an English-titled version. We searched the Essanay archive, state censorship records, and other resources in hopes of turning up documentation of the original titles, but without success. What we do have is William Gillette’s play, Sherlock Holmes, on which the film is based. We also know that the art, design, and typography of the French titles is different from that used by Essanay in 1916, the year the film was originally released. In order to create a faithful restoration of the material as it exists, we reproduced the art, design, and typography of the French version when we created the new English titles. For the translation, we re-translated the French back into English and consulted with the Gillette play and manuscripts (from the Chicago History Museum) to get the language as close to what we can expect that Gillette would have used. Still, it was a fine line we had to walk. Especially when you have the shadow of William Gillette watching over your shoulder. The purpose of a restoration is to return as closely as possible to the “original” and in our case, the original is the French version as released in Paris, not to create a version of how we might have imagined the 1916 version to have looked when it was released in the United States. EatDrinkFilms: How did the Holmes community assist in the restoration of the film? RB: The Holmes community (as vast and varied as it is) provided help, assistance, and enthusiastic support in any number of ways. The most tangible would be the financial support for the project. A significant portion of our funding for the restoration came not from film preservationists per se, but from enthusiastic supporters within the Sherlock community. Russell Merritt, a member of the SFSFF board of directors, is himself a long long long standing member of the Baker Street Irregulars and provided huge benefit to the project by connecting us with potential supporters, but also by his own work of researching the film, its production, and details of its export to France. For those who missed the Paris premiere or can’t attend the San Francisco Silent Film Festival showing, Flicker Alley has announced they will be releasing the film on DVD and Blu-ray in the fall. Included among its bonus material is a PDF of the 1899 play by William Gillette, and outtakes from a 1930 broadcast with actor and playwright. Thomas Gladysz is a journalist and the Director of the Louise Brooks Society, an online archive and international fan club devoted to the silent film star. Gladysz has curated exhibits, contributed to books, appeared on television, and introduced the actress’s films around the world. 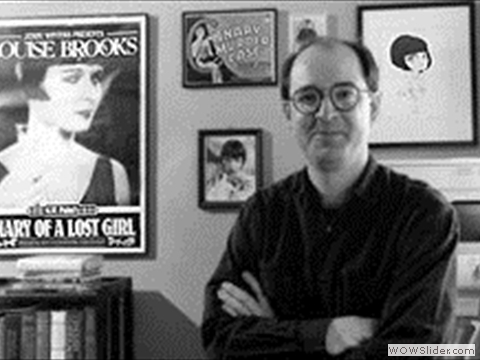 In 2010, he edited the Louise Brooks edition of The Diary of a Lost Girl. His writing about film has appeared on the Huffington Post and San Francisco Chronicle, and in the program notes for the Telluride Film Festival, EbertFest, CineFest, SF Silent Film Festival, and University of Wisconsin Cinematheque. $20-22. Sunday, May 31, 2015; 7 p.m.. Castro Theatre, 429 Castro, SF. www.silentfilm.org. This entry was posted in Films, Films: Classics, Films: Festivals and tagged Films, interview, San Francisco Silent Film Festival. Bookmark the permalink.